Representative Jacky Rosen (NV-3) with Betsy Sheerr in Martha's Vineyard. Senator Gary Peters (D-MI) with JAC members and IL State Rep. Robyn Gabel. Your calls beat back the dangerous GOP health care plan. Majority Leader Sen. Mitch McConnell (R-KY) still wants a vote on repeal next week. "I was a senator for 36 years. I can assure you that your call matters .... Your senators hear you." Israel made public for the first time Wednesday the extent of its humanitarian aid to the civilian population living just across its northern border in Syria. As part of the effort, "Good Samaritan," Israel has transferred 360 tons of food, 450,000 liters of gasoline, and 50 tons of clothing to Syria. It has also sent large quantities of painkillers, anesthetics and basic medicine for diabetes and asthma. Israel has charged that UNESCO's actions have helped Palestinians use the Temple Mount to incite violence against Israel. "UNESCO is a full partner to the false incitement by Palestinians and radical Islam who claim that Al-Aksa [Temple Mount mosque] is in danger," Israel's ambassador to UNESCO in Paris Carmel Shama HaCohen said. U.S. Ambassador Nikki Haley accused Lebanon's Hezbollah of amassing weapons and said the world must turn its attention to the actions of the powerful paramilitary organization. She met with U.N. envoy for Lebanon Sigrid Kaag ahead of a Security Council meeting focusing on the U.N. peacekeeping force deployed in southern Lebanon. 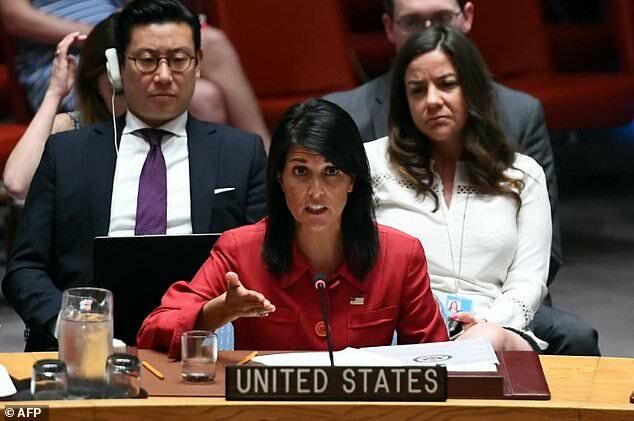 Haley stressed that the international community must "apply more pressure on Hezbollah to disarm and cease its destabilizing behavior, especially toward Israel." Thinking about Suspending Support for Israel Over the Western Wall and Conversion Disputes? Think Again. 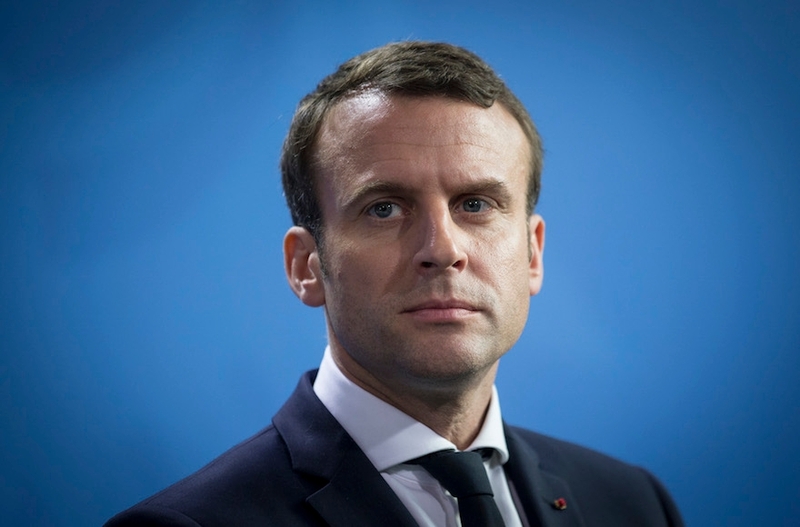 French President Emmanuel Macron condemned anti-Zionism as a form of anti-Semitism at a commemoration of the 75th anniversary of the Vel d'Hiv deportations. Natan Sharansky, board chairman of the Jewish Agency, praised Macron's declaration on anti-Zionism. "When one of the most important leaders in Europe recognizes that modern anti-Semitism frequently cloaks itself with the veil of anti-Zionism, tearing the mask off the face of radical anti-Zionists, this is a highly significant development." Forget BDS. It's Anti-Normalization You Should Be Talking About. 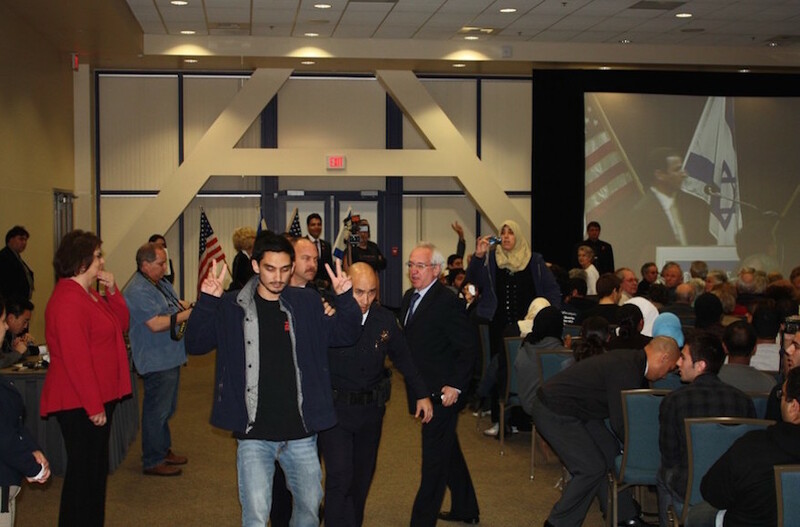 So you wanna understand Israel-Palestine debates on campus? The first thing you have to do is stop talking about BDS. The Boycott, Sanctions and Divestment campaign against Israel isn't what Israel conversations on campus are all about these days. Campaigns to pass BDS measures on major campuses are actually in decline, yet somehow they still make up the bulk of Jewish news about students. What should we be talking about? Anti-normalization. Because it creates a fascinatingly complex new landscape for Jewish students, who are both on its receiving end and active participants. The Trump administration has quietly axed $213.6 million in teen pregnancy prevention programs and research at more than 80 institutions around the country. The decision by the U.S. Department of Health and Human Services will end five-year grants that were designed to find scientifically valid ways to help teenagers make healthy decisions that avoid unwanted pregnancies. Health officials say cutting off money midway through multiyear research projects is highly unusual and wasteful because it means there can be no scientifically valid findings. 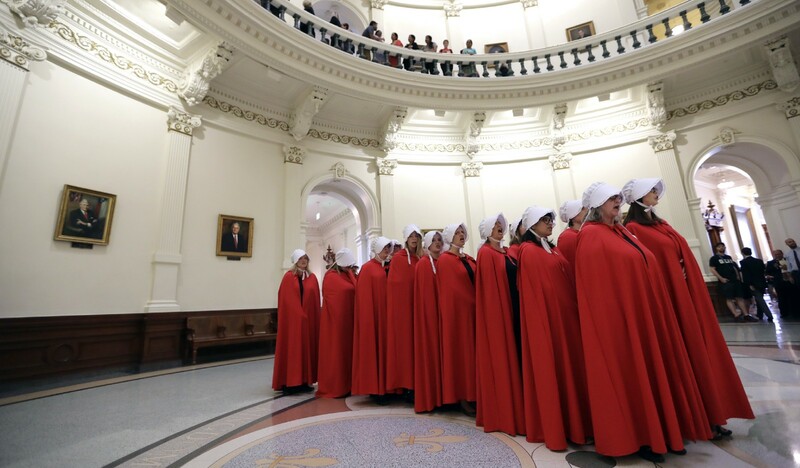 With national focus on GOP efforts to repeal the ACA, attention is being diverted away from another critical health crisis: state-wide efforts to legislate and restrict reproductive rights. Since 2010, when elections swept a wave of anti-choice politicians into office across the country, virtually all reproductive health legislation at the state level has focused on restricting abortion access. During the first six months of this year, 28 states introduced legislation to ban abortion in some form, while six worked to ban the procedure entirely. Most hard-hit are Southern and Midwestern states, where conservative politicians have a long history of undermining reproductive rights. When Dona Wells, an original founder of the EMW abortion clinics in Kentucky, began pushing for abortion rights in her state in the 1960s, she never believed abortion care would become legal. In 1973, with the landmark Supreme Court decision of Roe v. Wade, everything changed - not only in Kentucky, but across the country. Abortion was finally legalized, and Wells was thrilled. She eventually helped found the EMW Women's Surgical Center in Louisville, followed by the EMW Women's Clinic in Lexington. Today, EMW Women's Surgical Center in Louisville is Kentucky's last abortion provider. And, if the state has its way, it will soon be shuttering the clinic's doors. In the U.S., Trump has broken numerous promises to the LGBTQ community. 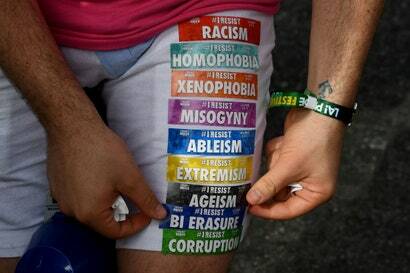 Beyond the federal scope, on the state level, there is a lack of formal protections in place for the LGBTQ community. According to the Movement Advancement Project (MAP), there are currently 28 states in the U.S. that do not have any specific state employment nondiscrimination law that covers sexual orientation or gender identity. And 50% of the nation's LGBTQ population live in states that do not have sufficient laws in place to block this kind of discrimination. Two Democratic congressmen are working to ensure religious freedoms aren't used to discriminate against LGBTQ people, women and other marginalized groups. 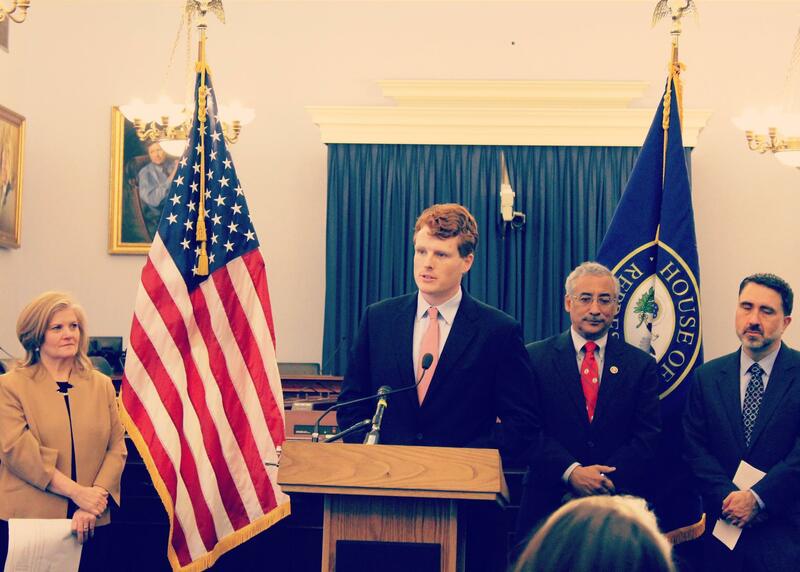 Reps. Joe Kennedy (D-MA) and Bobby Scott (D-VA) reintroduced the "Do No Harm Act," an amendment to the 1993 Religious Freedom Restoration Act. The act "would clarify that no one can seek religious exemption from laws guaranteeing fundamental civil and legal rights." One of the more insidious dimensions of the Trump presidency is that, while the seismic issues of Russia and healthcare are justifiably soaking up a ton of attention, the kakistocratic bureaucracy rolls on behind the scenes. 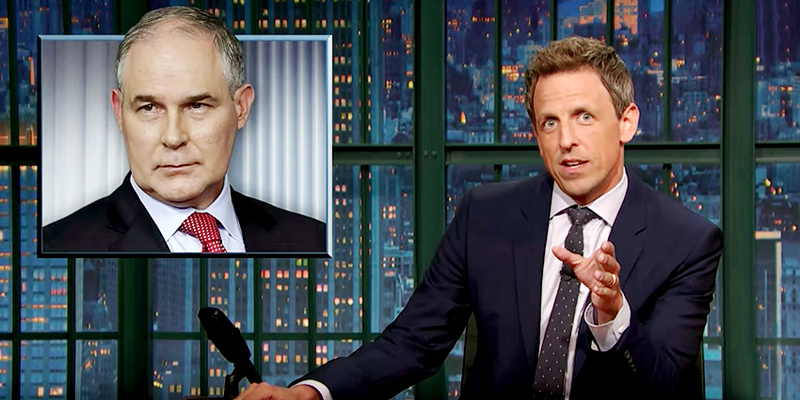 Cue some news about the Environmental Protection Agency, which Trump gifted to Scott Pruitt, a man best known for getting involved in more than a dozen lawsuits against the agency and once forwarding on an energy company's complaint letter to the EPA on his own letterhead. 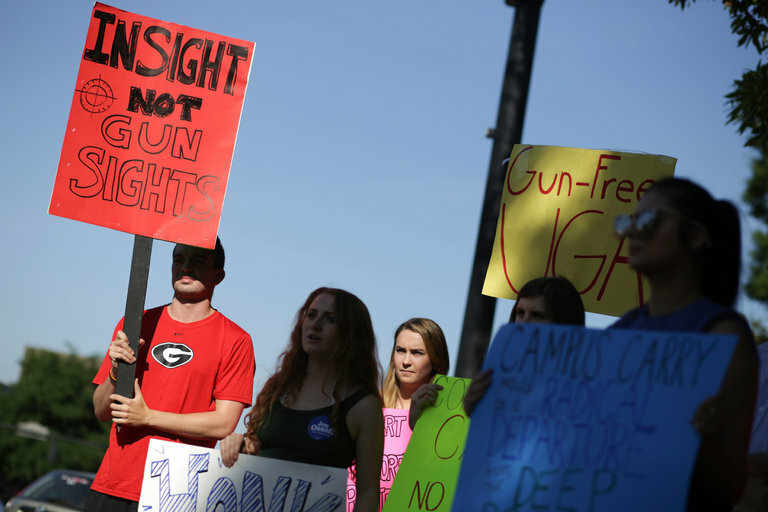 Since the start of the year through July 18, at least 150 kids under 13 have been struck by stray bullets, according to an analysis by The Trace of data compiled by the Gun Violence Archive, a nonpartisan organization that tracks shootings around the country. Seventeen died. The youngest victim was just three days old. Every Republican voted to confirm Bush, except for Sen. John McCain (Ariz.), who was absent. Every Democrat voted against him, except Sen. Debbie Stabenow (Mich.) who abstained. It's a lifetime post. The Senate voted Thursday to put judge John Bush on a seat on the 6th Circuit Court of Appeals, despite Bush's questionable past statements about abortion, slavery, climate change, health care and Nancy Pelosi. For a while there, it appeared that the GOP's long-running assault on voting rights was finally losing steam. In recent years, federal courts have struck down or significantly weakened several of the country's worst voting restrictions. At the same time, many states-including red ones-have debated or passed bills to expand access to registration and polling places. Since January, according to a recent report by the Brennan Center for Justice, at least 99 bills to restrict voting rights have been introduced in 31 states. The twists in the Senate health care debate this week have been dramatic, unpredictable, and rapid-fire. Just a few days ago, it seemed like the whole plan had been put on hold. But now the Senate GOP is frantically rushing ahead, hoping to put some kind of bill up for a vote early next week. It's a mad dash to the finish line, the end of a six-month debate in Congress and a seven-year Republican promise to repeal Obamacare. It's been a busy, confusing week. If the Republican Party's crusade to repeal and replace the Affordable Care Act is truly over, Monday night provided a fittingly sudden and chaotic ending. 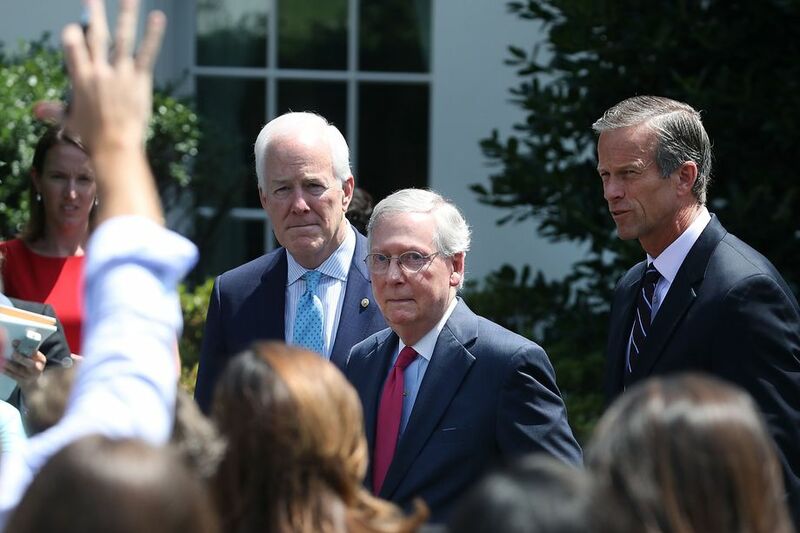 Early in the evening, two conservative Republican senators--Mike Lee, of Utah, and Jerry Moran, of Kansas--issued statements saying that they wouldn't support the revised health-care-reform bill that Mitch McConnell, the Senate Majority Leader, released last Thursday. 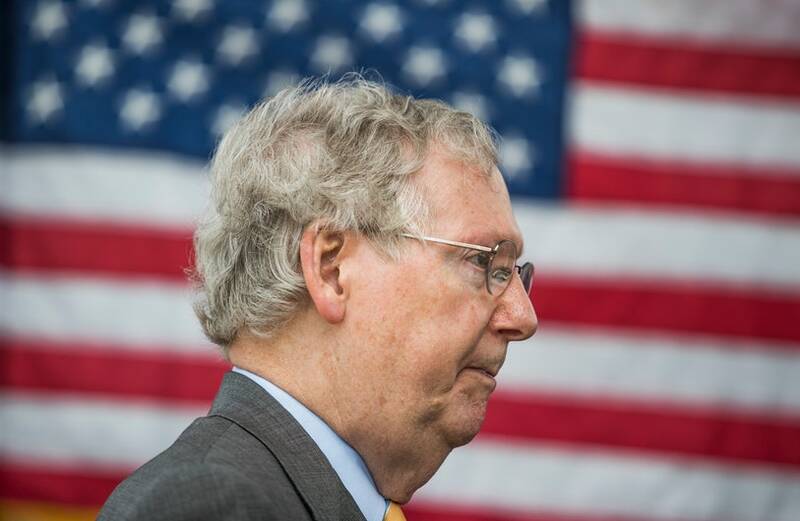 Since the Republicans have a majority of just two in the Senate, and two other Republicans-Susan Collins, of Maine, and Rand Paul, of Kentucky-had already announced that they wouldn't vote for the legislation, the effort to secure its passage looked lost. The scandal is historically large mostly because it is not shocking. Trump ran for the presidency promising to perpetrate outrages against the political tradition, and, although he has not built the wall, he has perpetrated the outrages. The scandal, the deep scandal, is that he was, in fact, elected. Watergate was a political scandal caused by Nixon and his underlings and by no one else, which meant that, when Nixon was gone, so was the "long national nightmare." That is not our situation today. Trump could decide on a whim to resign tomorrow. But masses of people will still be yearning for an authoritarian leader and a violent political culture. Many Americans have become accustomed to President Trump's lies. But as regular as they have become, the country should not allow itself to become numb to them. So we have catalogued nearly every outright lie he has told publicly since taking the oath of office. Updated July 20: The president is still lying, so we've added to this list, and provided links to the facts in each case. The six teenage girls on an all-female Afghan robotics team who were initially denied one-week U.S. visas to participate in an international competition caught the country's attention in recent weeks. The teens were turned away two times by U.S. officials, and as details emerged of the struggles they all faced and their dangerous journeys from the small town of Herat to Kabul in attempts to get visas. 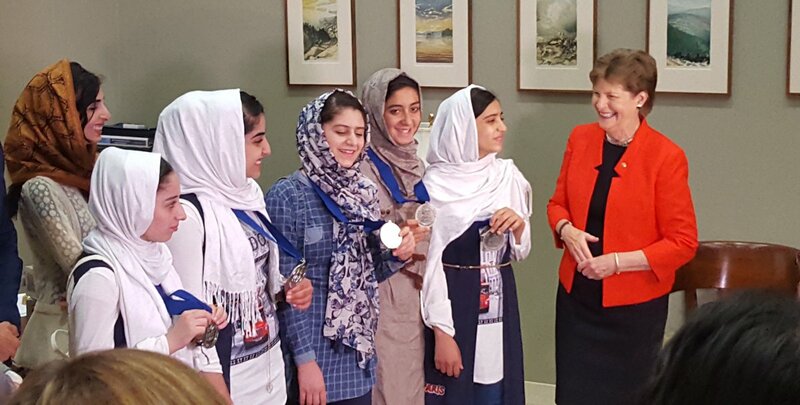 Sen. Jeanne Shaheen (D-NH) worked hard behind the scenes with the State Department on behalf of the girls. "I was a senator for 36 years. I can assure you that your call matters ... Your senators hear you."